Trumpeter Kenneth DeCarlo has performed, toured and recorded with the New York Philharmonic, Metropolitan Opera Orchestra, Cleveland Orchestra, Saito Kinen Orchestra in Japan and other ensembles in the New York City area. He is also currently a member of the American Ballet Theater Orchestra. 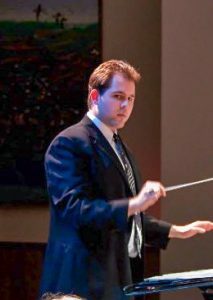 Mr. DeCarlo has been a member of the Brass Faculty at the Rutgers University Mason Gross School of the Arts since 2014, and will be Head of Brass starting at the Fall Semester 2019. 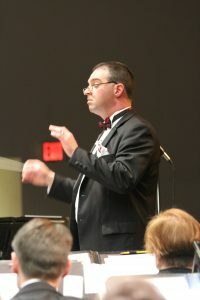 Mr. DeCarlo, a native New Yorker, is a graduate of the Manhattan School of Music. Mr. DeCarlo will be performing “Carnival of Venice” and “My Old Kentucky Home” with the RVSB. He will also hold a Trumpet Master Class prior to the concert at 5:30 PM. In addition, the RVSB, under the direction of Dr. Christopher Sumner, will perform music specifically written for concert band, including Gustav Holst’s “Second Suite for Military Band”, Jerry Bilik’s “American Civil War Fantasy” and many more. As always, admission to the concert and Master Class is FREE. The Raritan Valley Symphonic Band is offering a unique opportunity for your students! On Sunday, April 28, the band will host a master class led by Mr. Kenneth DeCarlo, one of the most sought-after professional trumpet players in the NY Metropolitan area. Mr. DeCarlo has performed with the NY Philharmonic, the Metropolitan Opera Orchestra, the American Ballet Orchestra and the Cleveland Orchestra. He is on the faculty of the Mason Gross School of the Arts, Rutgers University. The master class will take place at 5:30 PM at Bridgewater-Raritan High School in the band room. The school is located at 600 Garretson Road in Bridgewater. Admission is FREE. Students are welcome to stay for the RVSB’s concert at 7 PM, featuring Mr. DeCarlo as guest soloist. He will be performing “Carnival of Venice” and “My Old Kentucky Home” with the band. Please spread the word about this exciting event! Funding for this program is made possible, in part, by a grant from the Somerset County Cultural and Heritage Commission.